We stayed at Colwell Park which is a park and campground in Floyd County August 24 - 26, 2012. This was a nice little park with several flat campsites. There is a little stream on the west side of the park with access to it from a short trail. The stream was very picturesque and begged to be explored on foot (which we did not do). 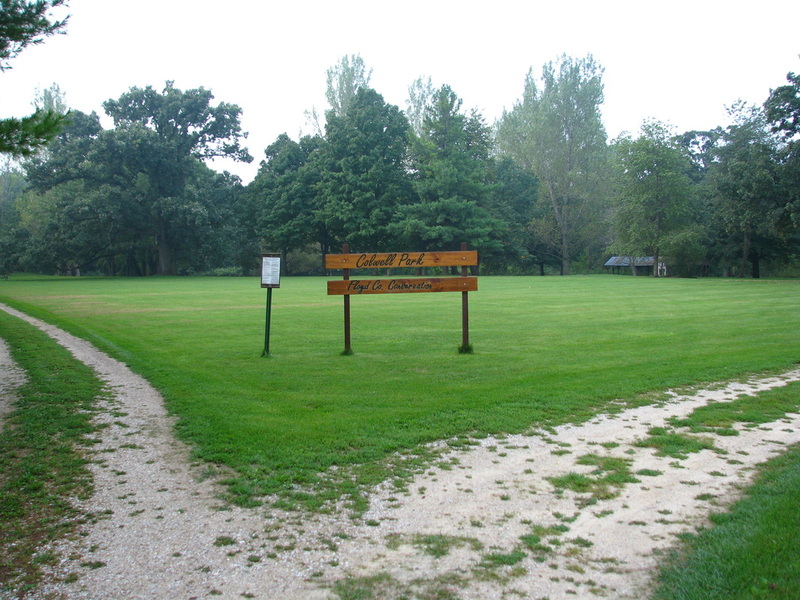 The park was divided into a south section and north section with camping available in both areas. Both sections had several flat campsites. The north area had a picnic shelter which came in handy when the rain came on Saturday. 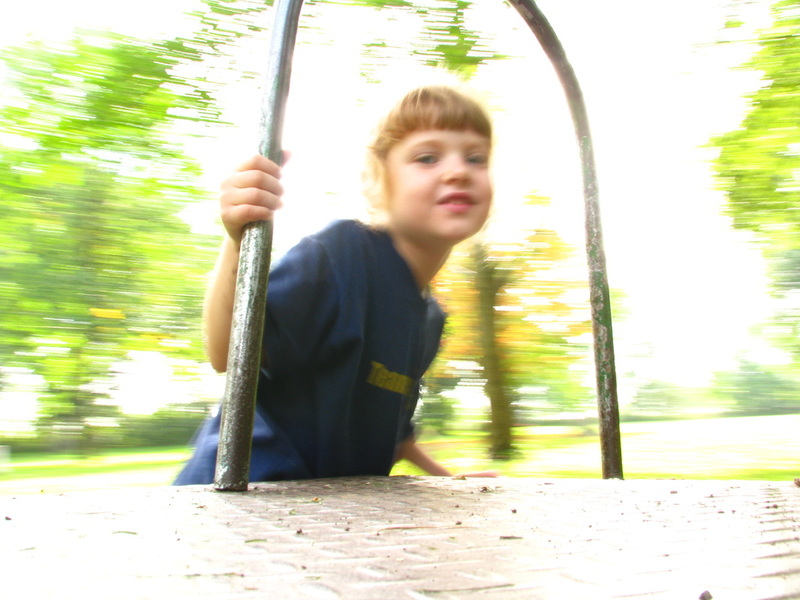 The south section had a swing and merry-go-round which our daughter loved. The park was nicely mowed and had several large oaks, cottonwoods and cedar trees which made for great pictures. The campsites were wherever the park officials decided to put fire rings and were not even numbered. We counted approximately 10 fire rings however the conservation guide says there are 20 sites available. This was a fairly quiet campground. On Friday night we were the only ones camping in the north section and only two others camping in the south section. A gravel road runs north of the park and didn't have much traffic, especially after dark. Occasionally you could hear vehicles on the highway which was about a half mile away to the east. On Saturday night the south-side campers had friends join them making for a wilder evening. However, since we were so far away from them, their music and ruckus did not bother us. The next morning as we left at 10:00am, they still weren't up and judging by the amount of adult beverage cans on the ground next to their fire pits they may not have awoken for quite some time! All in all, the park and campground was pretty decent.